Hairfinder® is fast becoming the internet's most popular source for information about hair care and hair styling. The site features dozens of articles on the basics of hair care and hairstyling, as well as detailed information and cutting techniques to create many of today's most popular hairstyles. The articles available cover everything from hairstyle trends, to hair coloring techniques and solutions for curling straight hair and vice versa. Perhaps the most popular feature of the site is the Ask Hairfinder section which allows visitors to submit their own personal questions to be answered by licensed hair professionals. 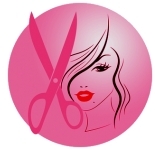 All of the questions and answers are included in a hair questions archive so that others can find help with similar problems even if they don't want to submit a question of their own. Whatever your question about your hair, Hairfinder has the answer. Other features of the site include photos of today's hottest celebrity hairstyles and the styles that make headlines, as well as galleries of hairstyles created by leading hairstylists. In addition, Hairfinder® has been teaming up with TheHairStyler to provide visitors with the possibility of trying on different styles and colors of hair. The online hairstyles simulation software features more than 1,000 different styles and 53 different shades of hair color. Hairfinder® is a subsidiary property of NetservePlus, llc, in Belgium.